Battlefield 1 was one of 2016 biggest games, and also one of the top-selling releases of last year, as millions of players loved the game’s World War I setting and hectic combat action. So given the success of their WWI military shooter, it’s logical that developer DICE will be putting out new content for Battlefield 1 this year, and in fact the game’s publisher Electronic Arts has already announced that the game’s first expansion will be released this March. This new expansion, titled “They Shall Not Pass” focuses on the French army and its role in the second-biggest war of the 20th century. The expansion will feature four new maps, Verdun Heights, Soissons, Rupture and Fort de Vaux, the latter of which will surely be enjoyed by those who like close quarters combat, as the indoor action will take place in a maze of dark corridors and galleries, in which the German and French armies will try to get the better of each other. Also, and aside from the fact that players will be able to drive to new tanks of French construction (the Char 2C and the St. Chamond) there will be a new game mode named “Frontlines”, which DICE describes as “a mix of Conquest and Rush as you fight for chained control points in a tug-of-war frontline”. 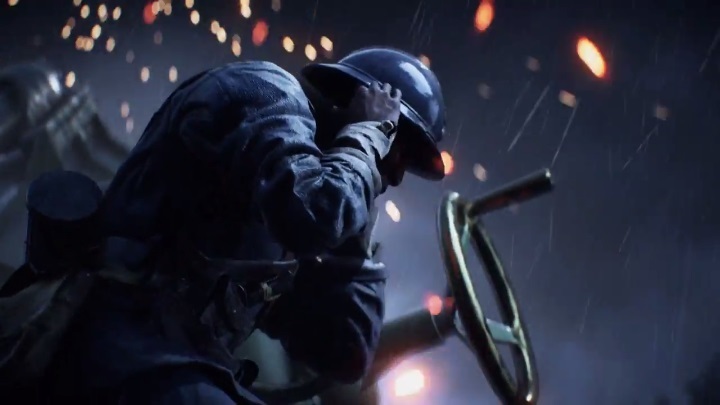 And those who enjoyed Battlefield 1’s Operations mode will surely welcome the two new operations featured in this upcoming expansion, The Devil’s Anvil and Beyond the Marne, which are based on two of the biggest battles fought during WWI. So this will certainly be good news for those wanting more of Battlefield 1’s military shooter action, and hopefully this upcoming expansion will make DICE’s game an even better experience for fans of the WWI action game. Note: Battlefield 1’s They Shall Not Pass expansion will be released on March 14, 2017 for owners of the game’s Premium Pass (two weeks later for all players). Available on PS4, Xbox One and PC.